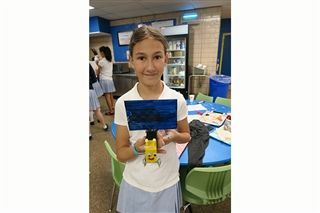 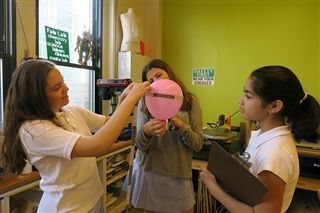 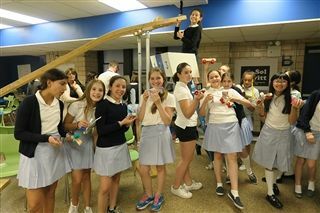 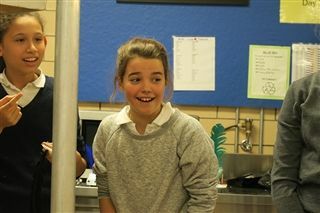 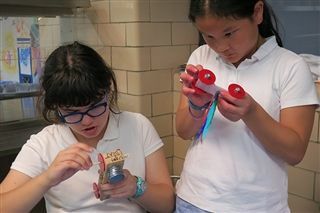 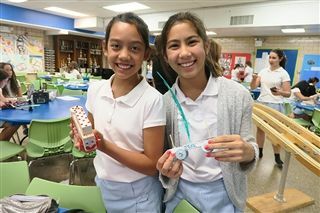 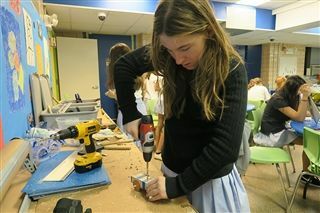 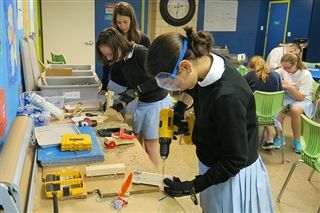 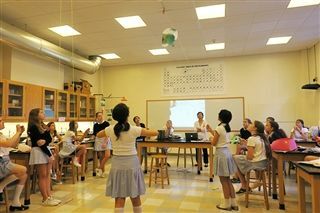 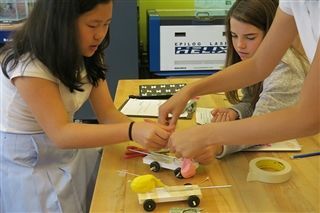 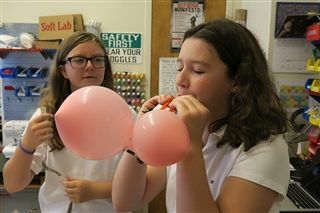 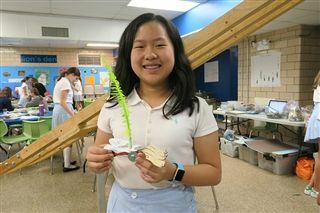 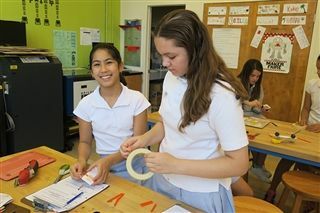 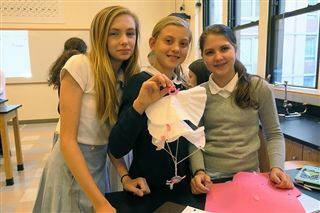 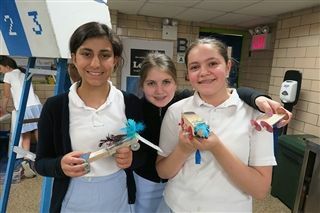 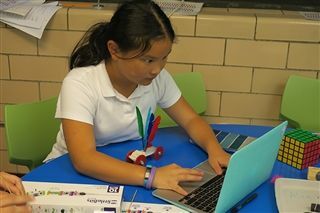 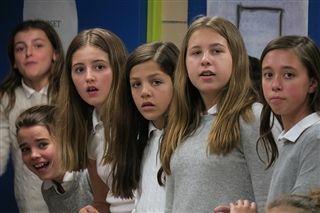 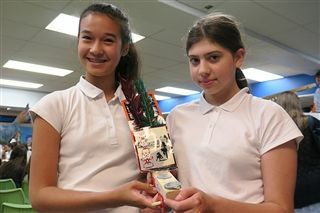 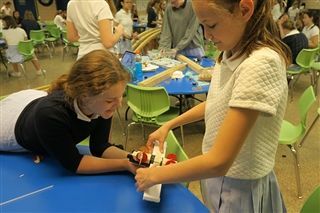 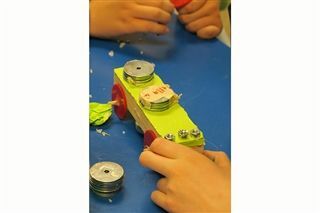 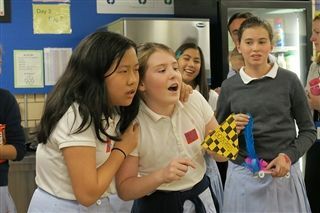 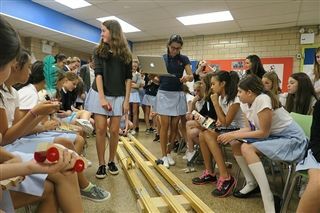 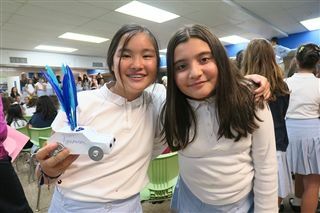 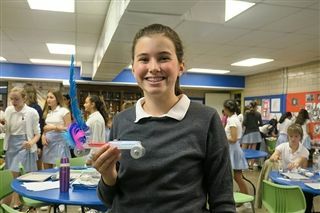 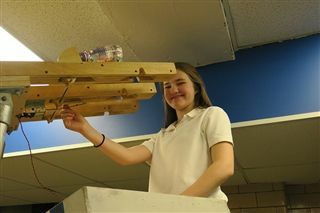 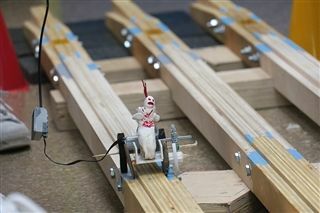 During the week of June 6-10, Class VI students participated in the fourth annual Nerdy Derby. 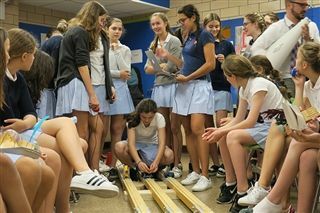 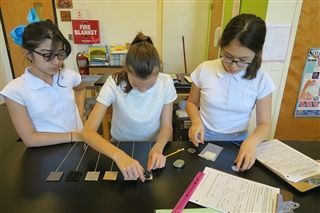 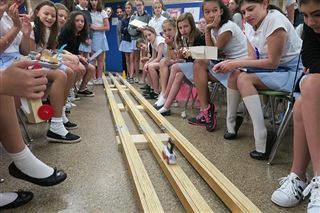 Students spent two days carrying out five mini-investigations to determine the forces and variables that affect the speed of a vehicle on a race track. 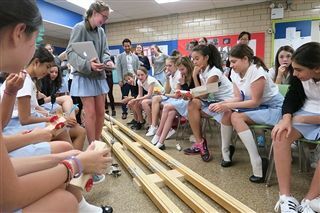 Next, they spent the rest of the week designing their own cars to race in the Nerdy Derby competitions, which take place on a 9 foot tall, 45 foot long undulating track. 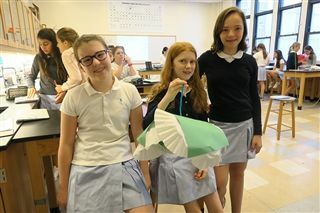 Students received an allowance of the event's paper currency, called Derby Dollars, and were asked to budget their materials purchases throughout the week. 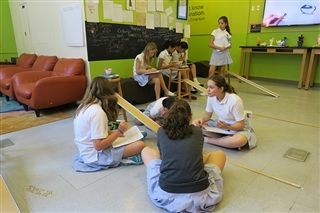 Students earned Derby Dollars by documenting their progress on the class blog, analyzing their data, and showing good clean-up practices. 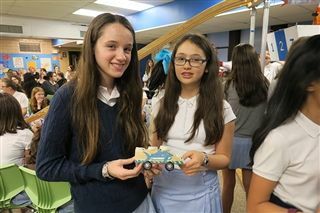 This year's class also showed great entrepreneurial spirit with several students opening pop-up "consulting shops" where they charged their peers for various car-related services such as sanding, drilling, and wheel and axel tuning. 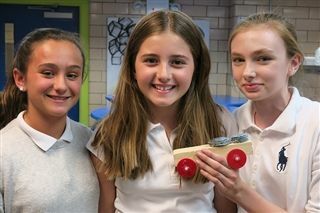 Fastest Car - Elle LaP., Romilly G., Sabrina T.
Slowest Car - Amanda G. and Sarah U. 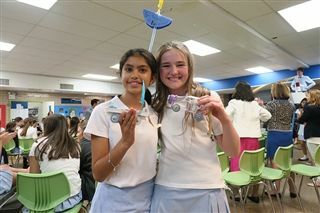 Queen of the Hill - Ella V. and Charlotte M.-E.
Best in Show - Julia T. and Erin C.